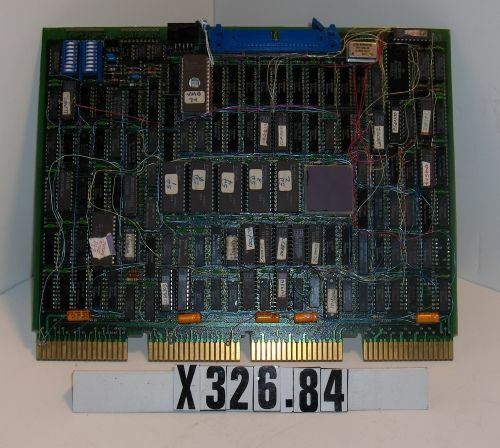 This module along with the memory controller (MCT) [X325.84] werethe original breadboard modules for the MicroVAX I. The final versions of both modules are the same size- butseveral part changes required a large amount of wire wrap in the breadboard. The large square chip in the middle of the DAP module is a VLSI chip. 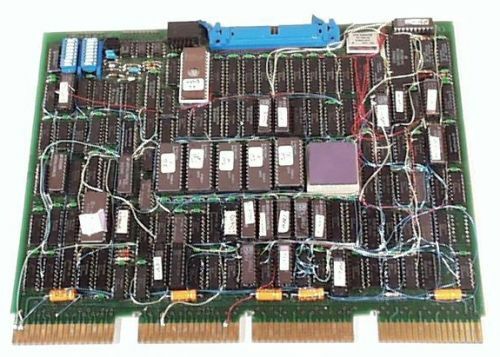 It contains an ALU- registerfile- barrel shifter- and constant ROM. About 40-000 transistors are required to implement this functionality onthe chip. Together- the MCT and DAP modules implement theMicroVAX architecture in a machine that performs at about 35-40% of a VAX/11-780. The PC board area on a MicroVAX I is about 160 square inches. The VAX/11-780 requires about 4500 square inches of PC board space. David Cutler was responsible for the design.